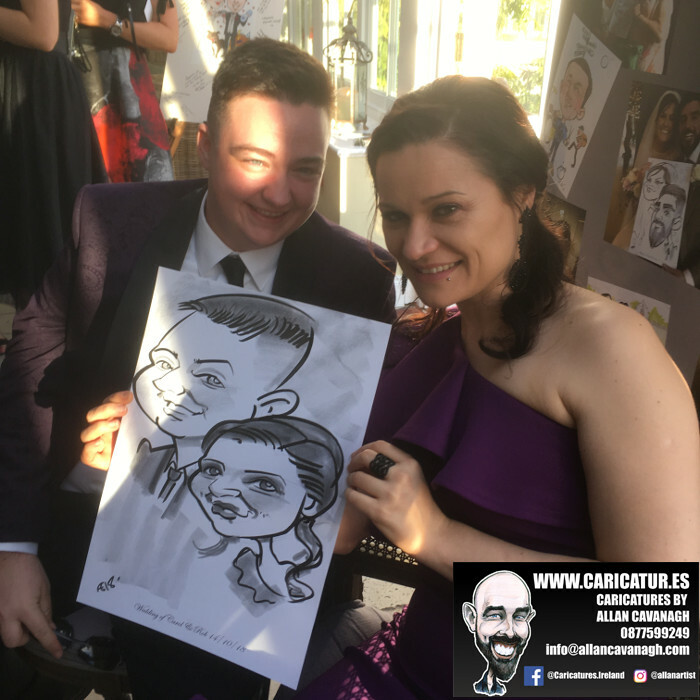 Meath Wedding Entertainment: some late winter sun filled the conservatory area of wedding venue Ballymagarvey Village (Balrath, Co. Meath, phone 0419825959) for this recent wedding. 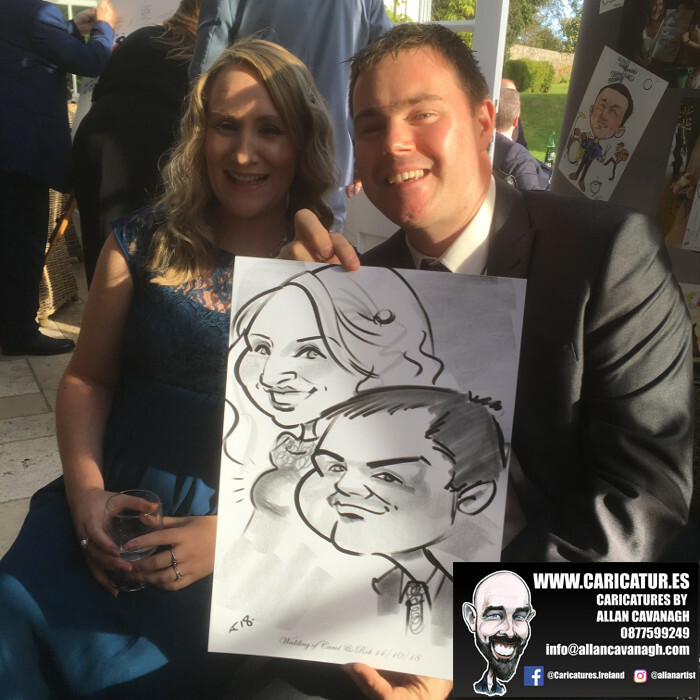 Ballymagarvey Village is a lovely secluded and intimate venue and I always get a warm reception when I arrive. 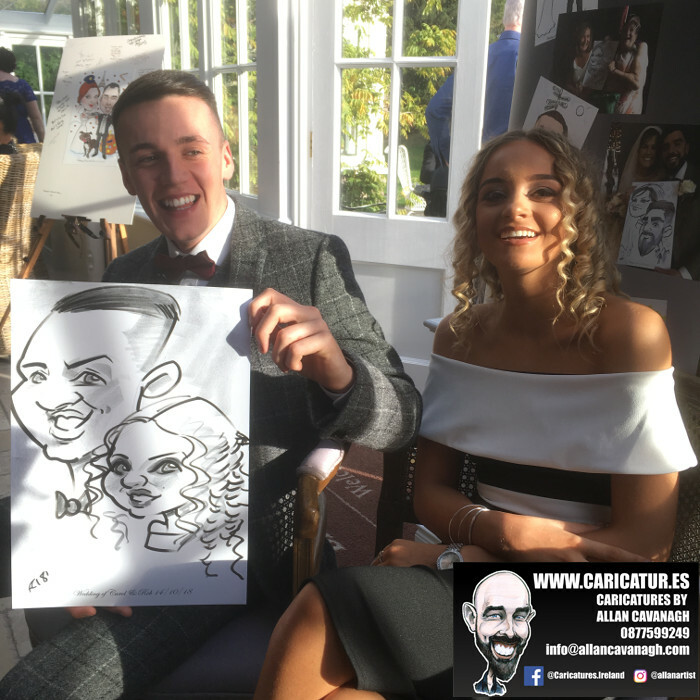 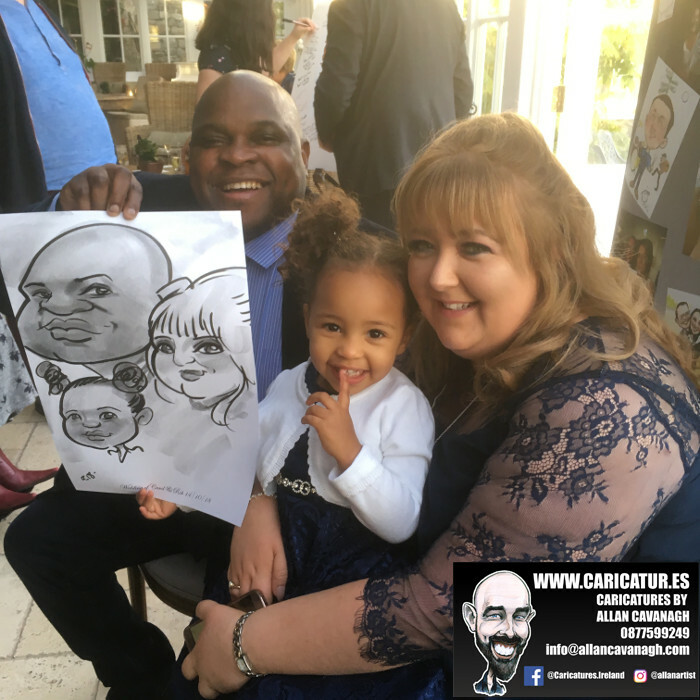 Below is a gallery of my live caricatures from the day and you can see how much fun live wedding caricatures are as a form of wedding entertainment! 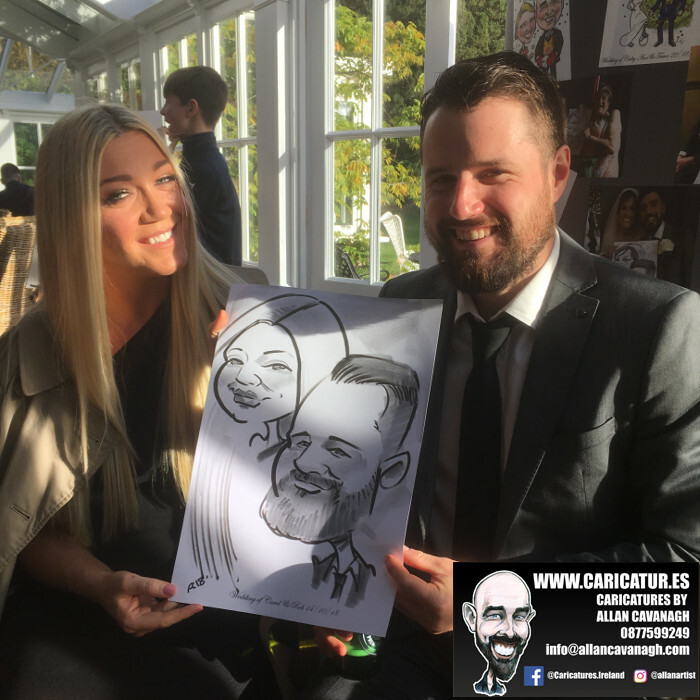 Each couple takes around 3 minutes and there’s a great atmosphere as guests watch me draw. 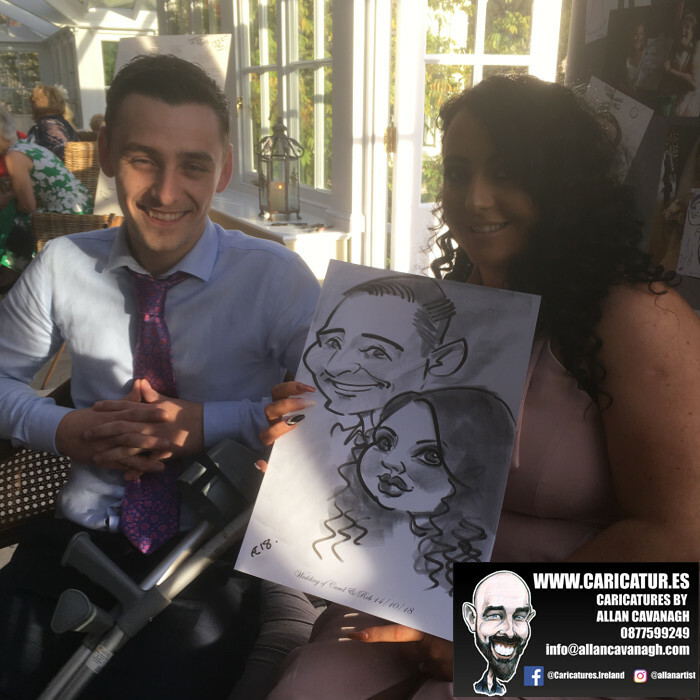 Plenty of chat and laughs! 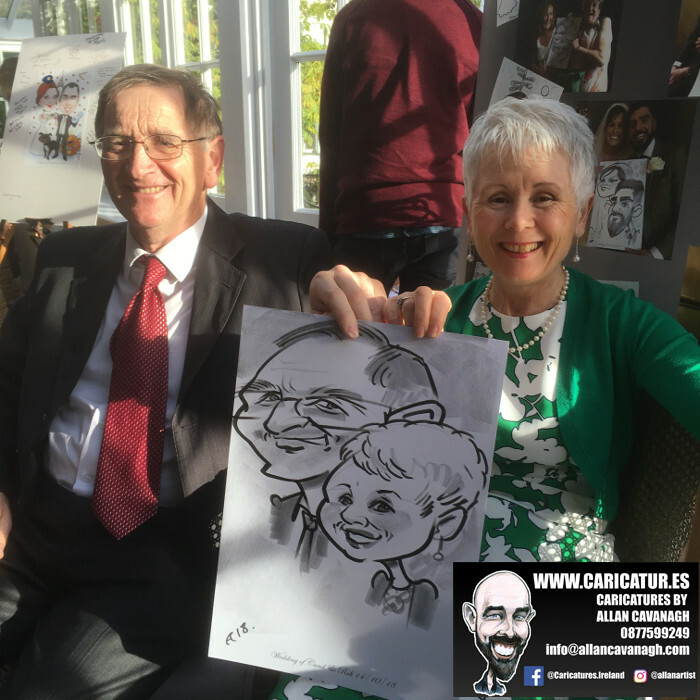 I have over 20 years experience and have drawn thousands of caricatures in the time. 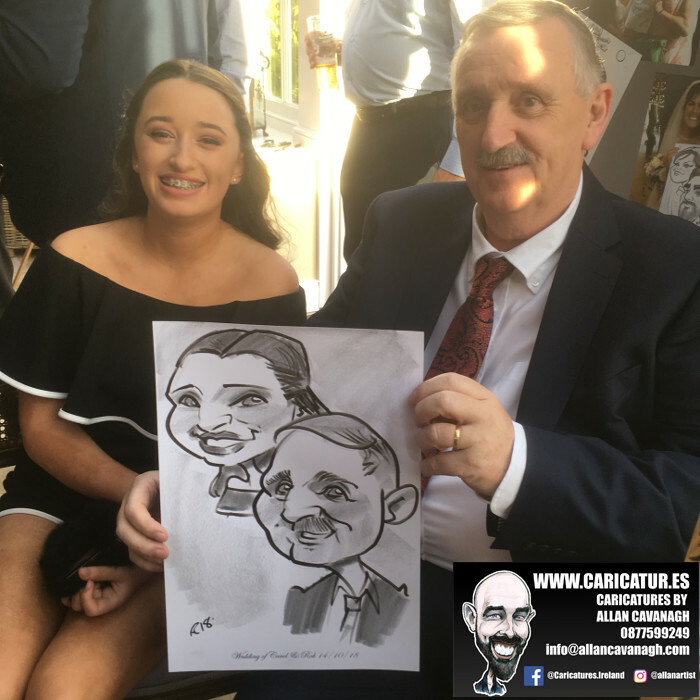 I am available all over Ireland and you can contact me using the menu above or click here for my contact form. 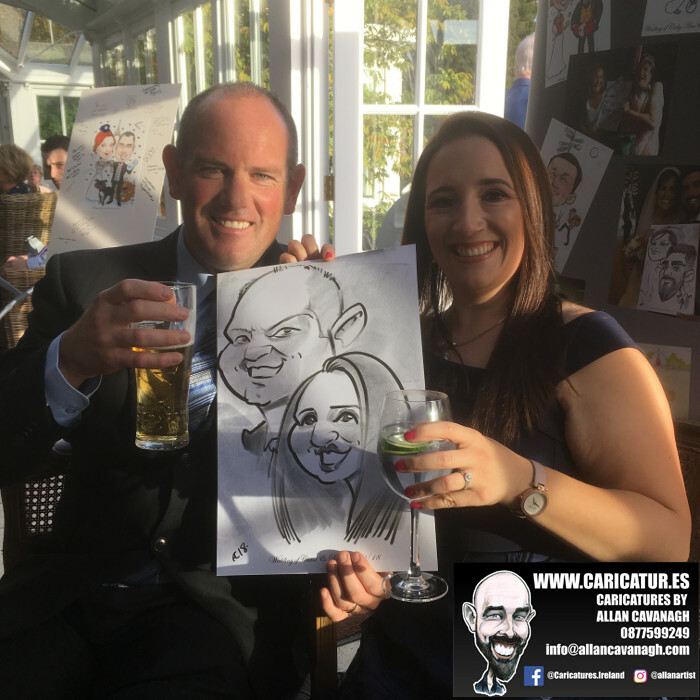 Have a look through the caricature gallery below!